Getintothis’ Craig MacDonald examines the renegade of roots music Benjamin Booker who brings his rawness to the O2 Academy this July. The guitar juggernaut revival of roots music is now racing forward with it reconnecting people’s love for all things Americana, Blues, Soul and Folk as well as bringing new fans to the fold. 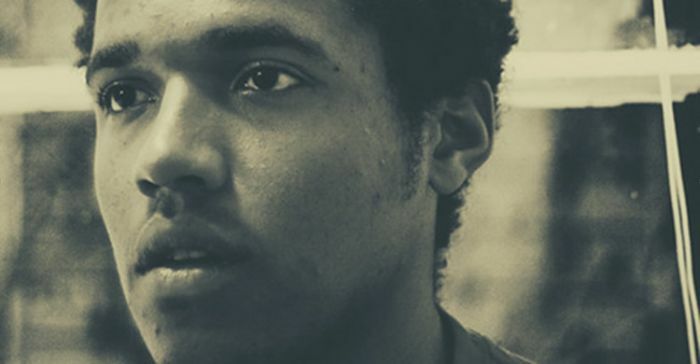 At the very forefront of this renaissance is the organic sound of Benjamin Booker. Infusing the power of gospel, the rawness of punk and the coarseness of blues under a subtle soul base is no mean feat and one that has seen many attracted to the songs that Booker has crafted. His intimate lyrics and frenzied guitar have seen him be championed by the likes of Courtney Barnett and Jack White. The former White Stripe man was so impressed by his talent that he hand-picked him Benjamin Booker to support him on his Lazaretto tour. His self-titled debut album was universally acclaimed with the likes of the Deep South soaked Violent Shiver and the deeply personal Have You Seen My Son striking chords in all who had the pleasure to have heard its wonder. The relentless Booker sights the likes of T-Rex and Blind Willie Nelson as influences on his own style with his hybrid sound capturing the ferocity that he would have brought from the punk bands he listened to in his local skate park as a youth. As with the likes of Alabama Shakes and Reignwolf, the live element to Booker is electrifying, helping to deliver an addictive slice of meat to the bones of his song that the O2 Academy will bear witness to when he plays on July 8. His voice sways with a wisdom beyond his years that is beautifully married with his shredded guitar fuzz that will have you begging for more.